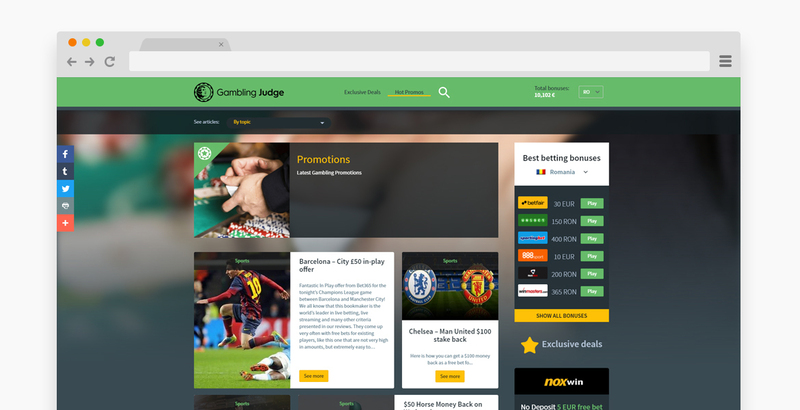 Gambling Judge is the type of resource that all avid gamblers turn to. 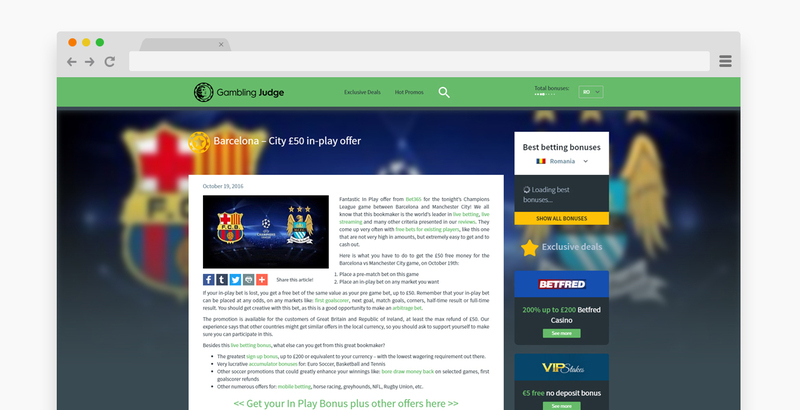 As an independent reviewer of the local gambling platforms, their popularity is constantly growing and so do the technical demands for keeping everything updated. This project was particularly challenging because we didn’t have the opportunity to build their website from scratch. We only got to take over on the maintenance stage, dealing with a massive WordPress website that was running slow. Since we were taking over a project in progress, we started our work with a thorough audit. After evaluating the important sections of the website, we came up with the appropriate solutions on the most challenging aspect, which was the platform’s technical performances. A relatively small input on our side was also required regarding some basic UI upgrades. 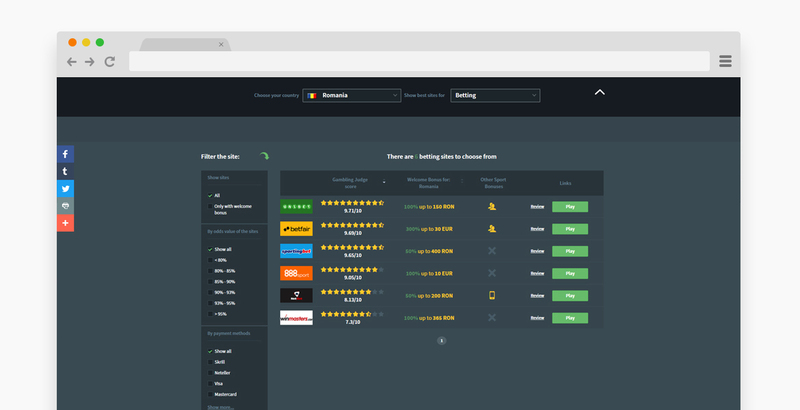 Before anything else, we had to clean it up, by optimizing the database and main queries, upgrading the user interface design, and even creating some new custom WordPress modules. 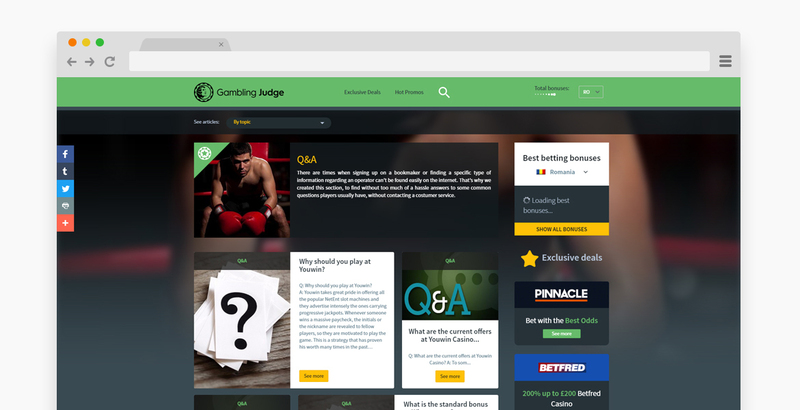 This is an on-going stage of our collaboration with Gambling Judge, as we continue to be responsible for the constant upgrade and maintenance of the platform. 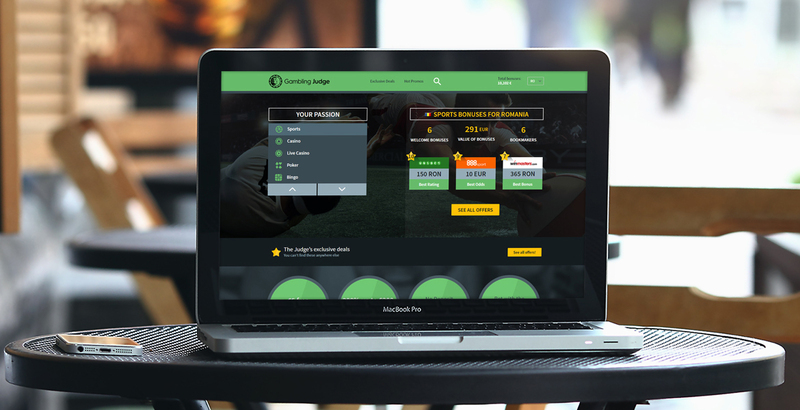 We began by suggesting some essential changes that would make everyone’s job easier and, most importantly, their platform more stable and easier to access. And from that point, the monthly maintenance is, most of the times, quite a breeze. 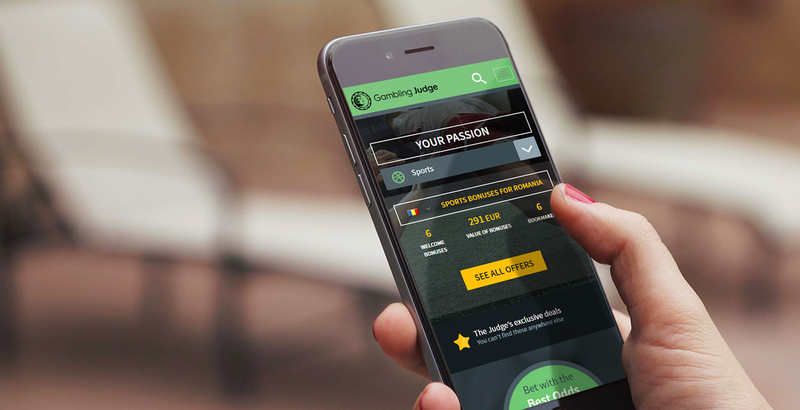 The Gambling Judge team is the next authority in iGaming and we’re here to make sure that their customers have full access to their services, without any hiccups. When you work with the best, it’s really easy to provide the best. It reflects the particularities of the business we serve. 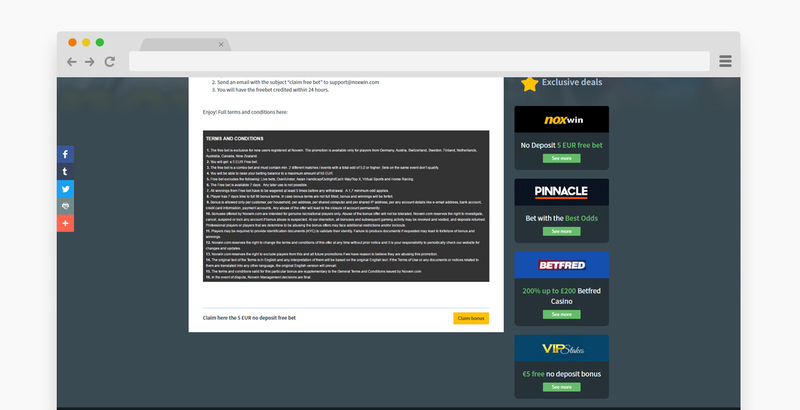 You do not have to run a gambling review website to enjoy the same high-quality, custom services, so just… Contact us and ask for our offer now!